The TBEST reporting engine contains a variety of options for summarizing and comparing model ridership estimations, route performance measures, socio-economic data, network characteristics, and estimated implementation costs. The reporting engine also works with transit agency automatic passenger count (APC) data to summarize observed ridership data. TBEST uses ArcGIS features to dynamically generate ridership maps at stop, segment and regional levels. 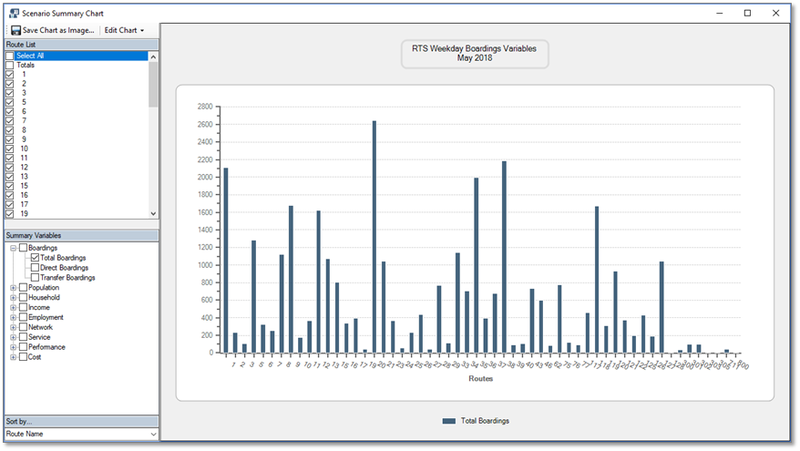 TBEST reporting also includes dynamic chart generation with user selected summary variables. Map Output – Time-of-day ridership summary maps at the stop, segment and regional levels. Map output includes stop-level ridership, segment band width, regional ridership and service distributions, and future year socio-economic growth. 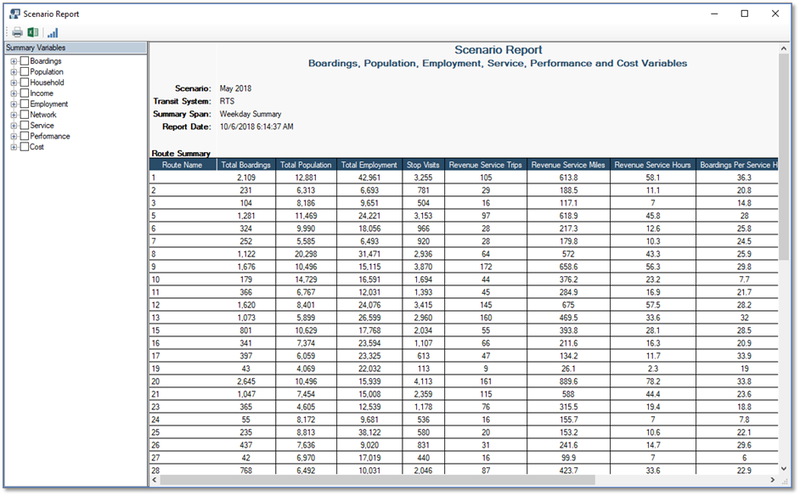 Scenario Comparison – compare scenario ridership, socio-economic data, performance measures, and implementation costs at the route and system level. A variety of summarization options are available including totals by TBEST time period, weekly, monthly or annual. Transit Development Plan (TDP) Annual Summary – developed as a target for organizing and summarizing key performance indicators by Goal Area across multiple TBEST scenarios. 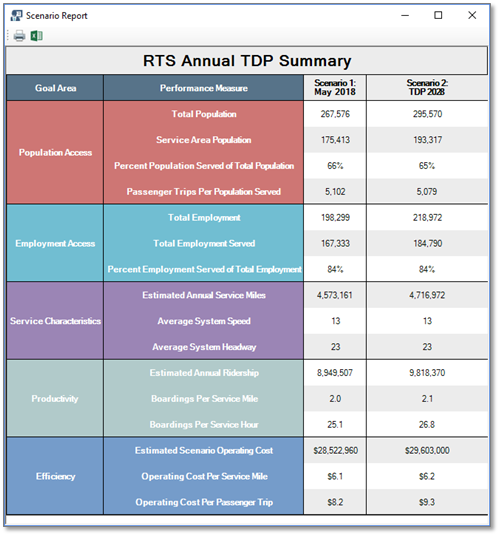 This report will streamline the TDP ridership estimation reporting process by providing Agencies and FDOT with a single data view that represents the TBEST TDP modeling results.